CURRENTLY OUT OF STOCK. 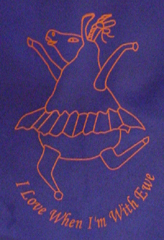 This specally designed tote shows Rachael dancing. This tote is great for toys, books or overnight!